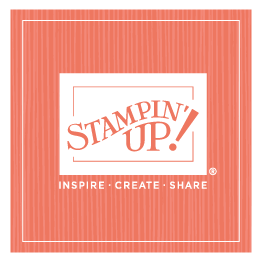 The holidays are the perfect time to show our Stampin’ Up! employees how much I appreciate all they do. As far back as I can remember, we’ve always given some sort of holiday gift, and this year we did something completely different—this morning we gathered at a local Costco for an early-morning breakfast, a gift card, some fun prizes, and exclusive, Stampin’ Up!-only shopping time. Lots of our employees (and their guests—each employee was encouraged to bring one guest) braved the early morning darkness and cold to attend the celebration. The doors opened at 7 a.m., and as everyone entered, I got to thank them for all they do, hug them, and wish them Merry Christmas. Then they received their gift cards and headed off to breakfast and the festivities. At one point, there was a little bottleneck, so I quit hugging, but then Rich pointed out that the slowdown was the gift-card line, not the hugging. I was glad, because I love my holiday hugs! In addition to the store being open for two hours just for us, we also had a cash walk (similar to a cake walk, only the prizes were cash instead of cakes) and a gift treasure hunt (small die-cut ornaments were hidden throughout the store, and when employees found them, they got to exchange them for larger surprises). I loved spending time with these wonderful people. . . it was fun to get to see them in different circumstances than at the office. I can’t express my appreciation enough for all our employees do, and I am very grateful for the chance to work alongside such fabulous people. I hope they all have the best Christmas ever!